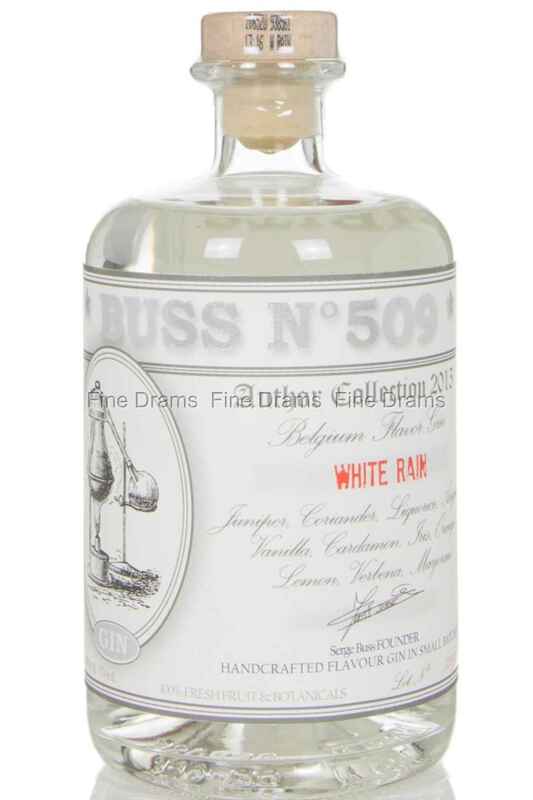 No.509 is a range of gins by the small company, Buss Spirits, who are based in Antwerp, Belgium. This gin, bearing the name White Rain, is made from the combination of juniper, coriander, liquorice, vanilla, angelica, cardamom, iris, orange, lemon, verbena, and marjoram. A truly delightful gin!